Serving a similar function as the US Capitol Building in Washington DC, the Reichstag is the seat of the German Parliament and where the German government conducts the business of running the country. Prior to German unification in 1871, there was no official, centrally-administered German government and, as a result, no use for a building where a national Parliament could meet. Yet after unification (not to be confused with re-unification) under Emperor Wilhelm I (aka: the Prince of Grapeshot) and Otto von Bismark (aka: the Iron Chancellor), the Reichstag was built to accommodate this new need. 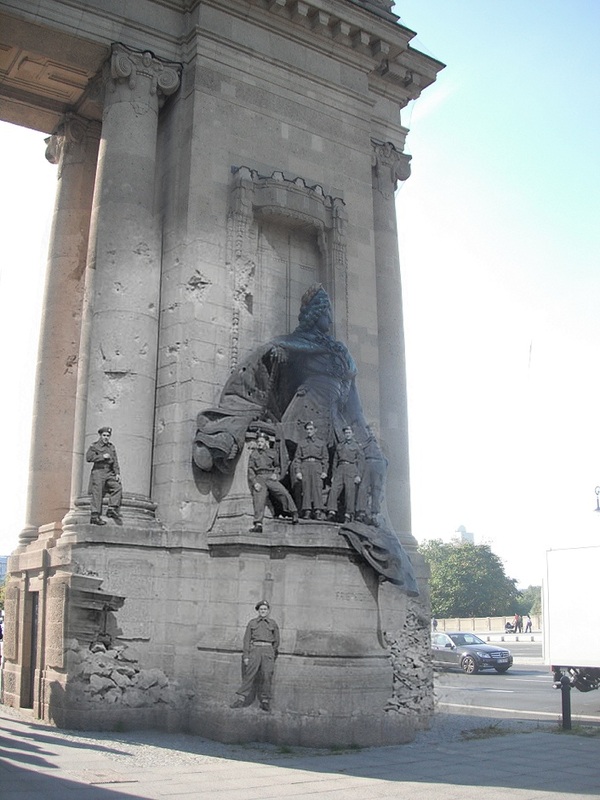 As legend has it, following World War One, when Wilhelm II (Wilhelm’s successor) saw the added inscription Dem Deutschen Volk (To the German People), he was not amused by the clear democratic overtones. 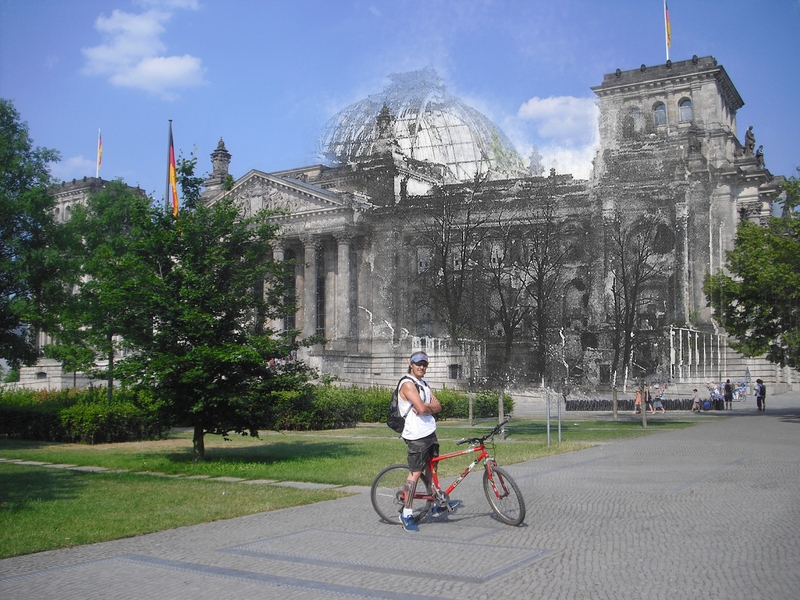 Today the Reichstag and its glass dome is one of the most easily-identifiable landmarks in Berlin, if not Germany. 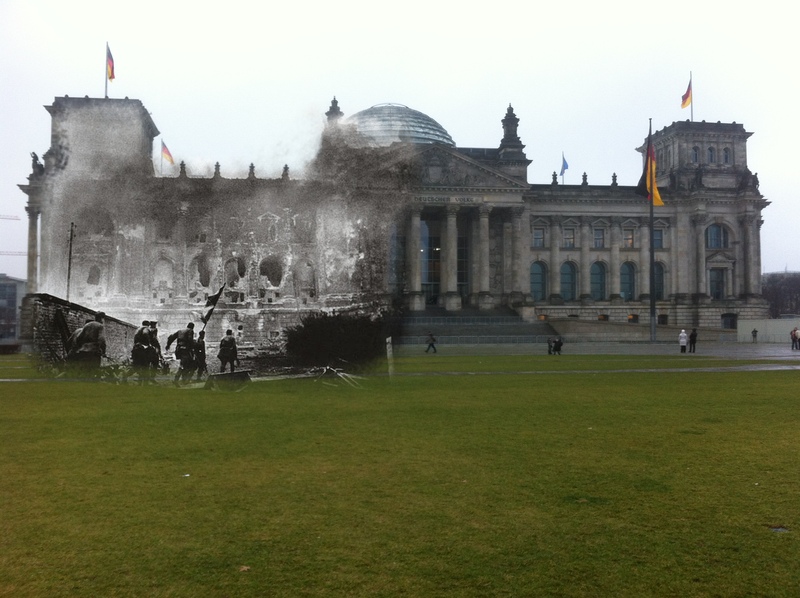 The Reichstag was designed by German architect Paul Wallot and its cornerstone was laid by Wilhelm I in 1884. 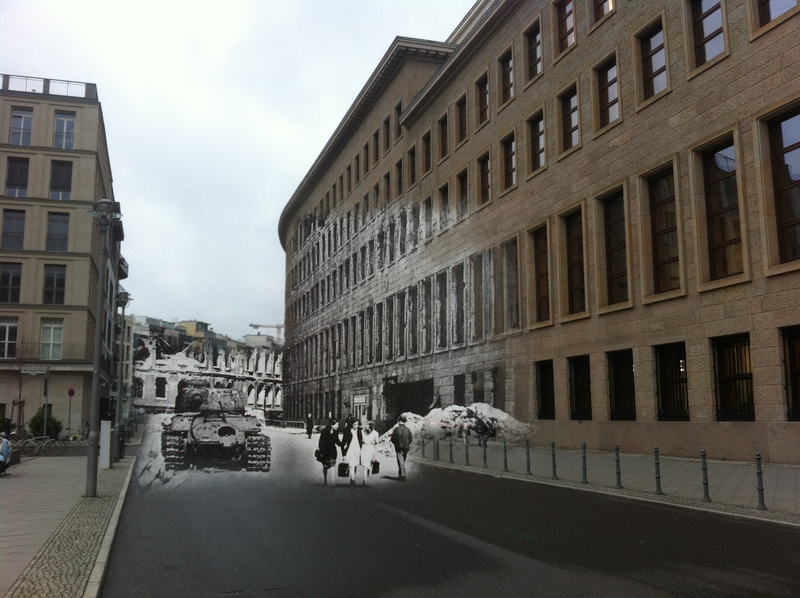 The building occupied a particularly important role in the Twentieth Century. 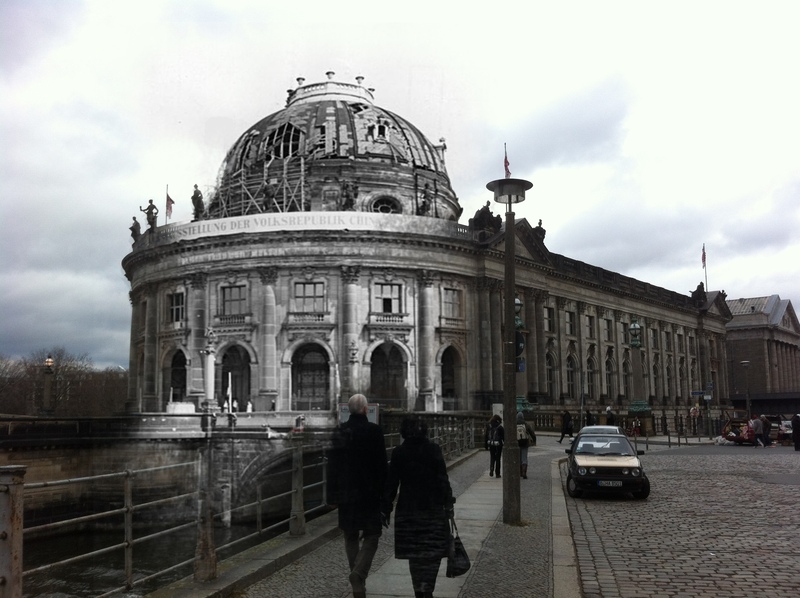 Aside from being the seat of government, in 1933 the Reichstag mysteriously caught fire. A Dutch communist named Marinus van der Lubbe was blamed and executed for starting the fire. His guilt was never really established as the event was probably a false flag operation anyway. However the fire was quite significant as it led to the Verordnung des Reichspräsidenten zum Schutz von Volk und Staat (Decree of the Reich President for the Protection of People and State ) more commonly known as the easy-to-pronounce Reichstag Fire Decree. 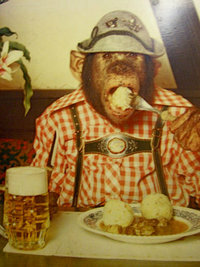 With support from newly-appointed Chancelor Adolf Hitler, President Hindenburg (aka: Field Marshal “What do you Think”?) issued this decree which in effect legalized the persecution of anti-Nazi activities. 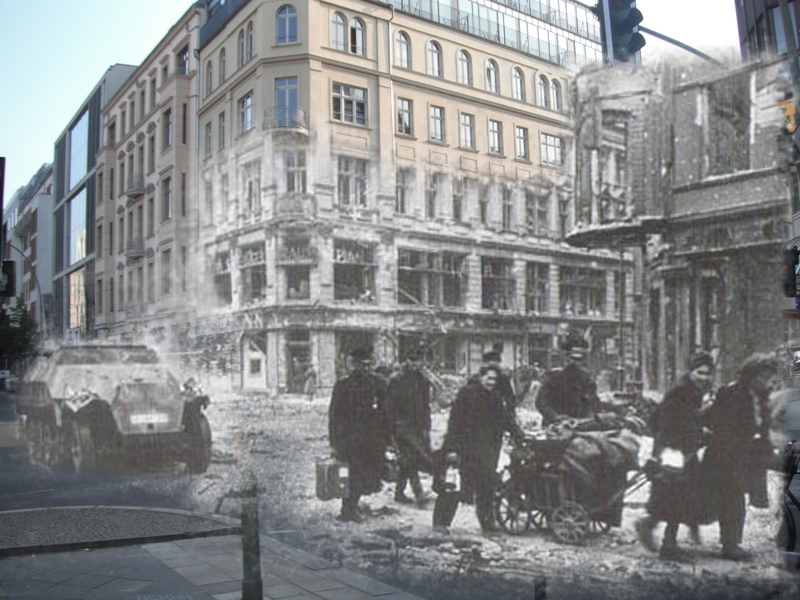 In a more general sense, the fire was also used to spread fear of Communist terrorism in Germany and can be considered one of the watershed events of the rise of the Third Reich. You can also read about the Enabling Act to learn more about how NSADP used legal measure to take control of Germany by allowing Hitler’s party to rule by decree. 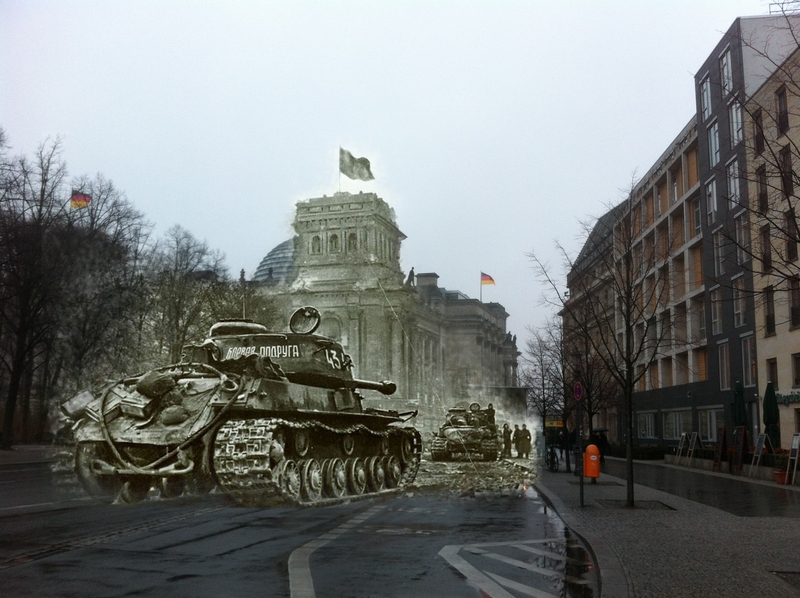 Due to its significance, understandably the Soviet Red Army viewed the Reichstag as the “Lair of the Fascist Beast” and the building became not only the living symbol of Nazism, but the top military target in Germany as well. 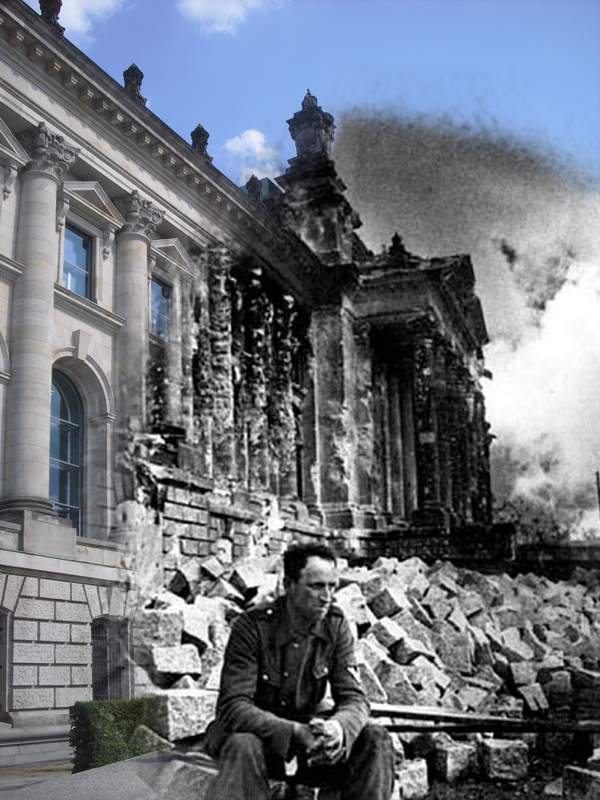 At the same time, the Reichstag, with its thick stone walls and deep cellar, became the location of the Third Reich’s last stand. 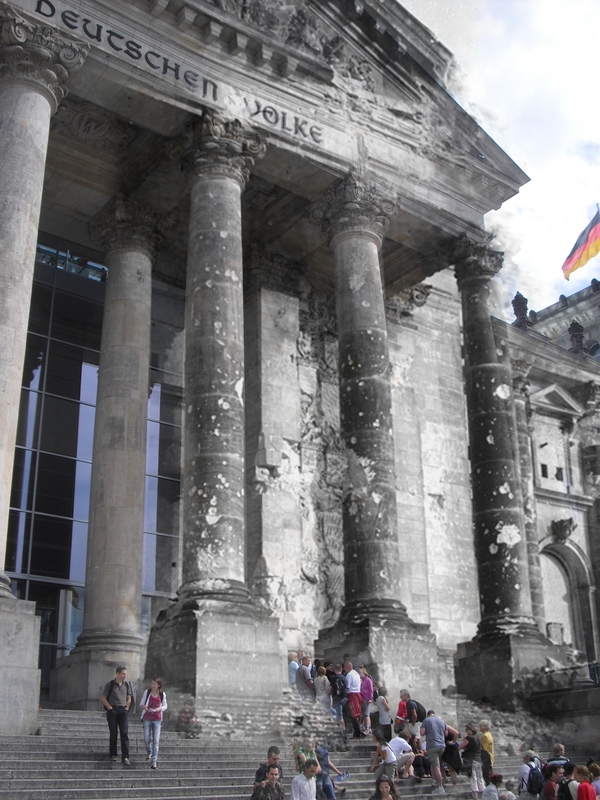 You could say that, quite literally, the Second World War in Europe ended on the stairs of the Reichstag. 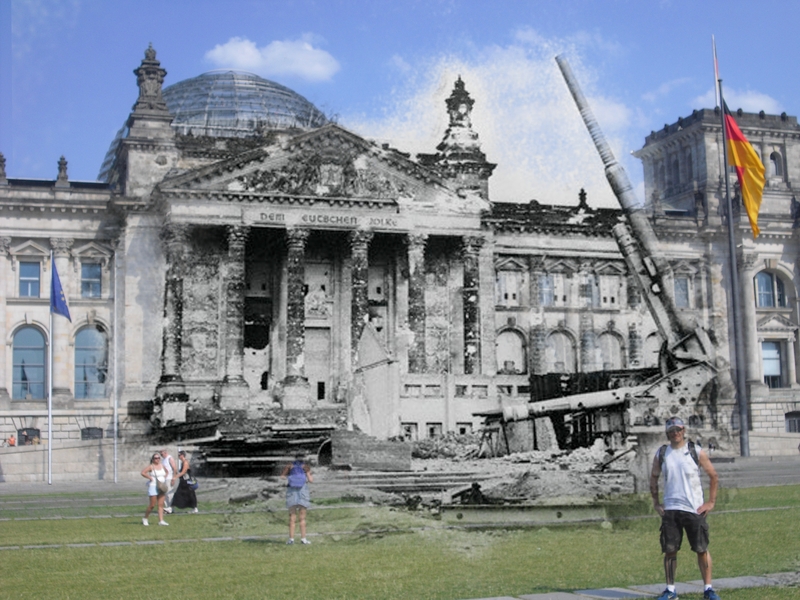 A wrecked German 88mm gun shows the intensity of fighting that took place on the lawn in front of the Reichstag. 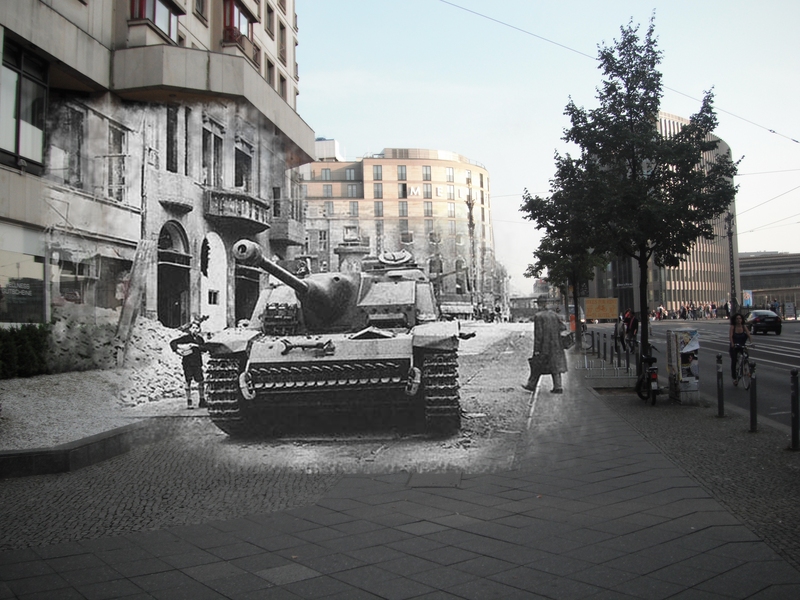 While Hitler sat in his bunker under the Reich Chancellory building, elements of the Soviet 3rd Shock Army crossed the bridges over the Spree and came within gunfire range of the Reichstag at the end of April 1945. 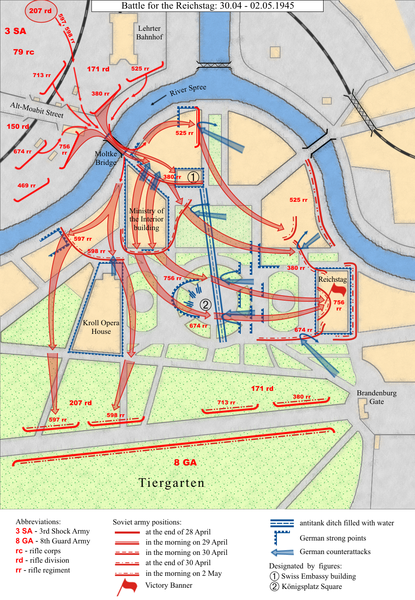 Within the Reichstag itself, remnants of the German army fought a battle battle to the very last man in the cellars of the Reichstag. 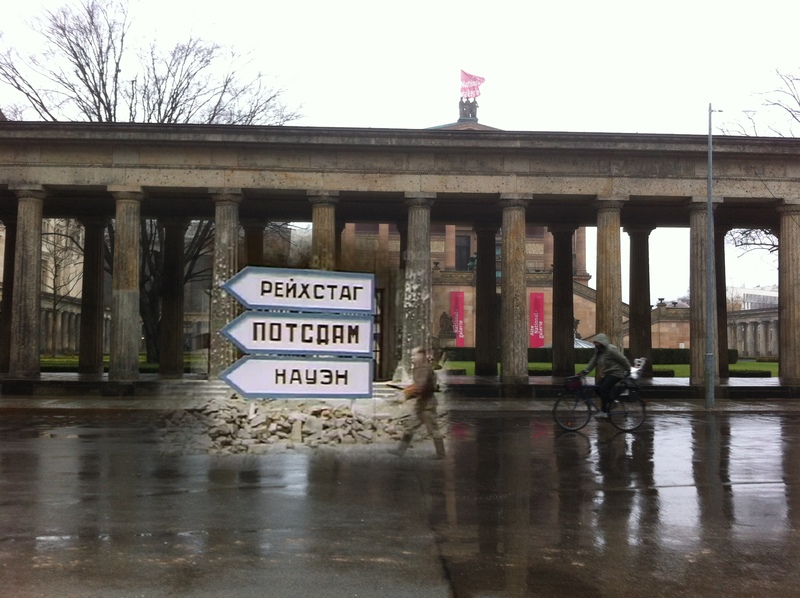 Stalin himslef set a deadline for the taking of the Reichstag: May 1st, May Day, the Communist version of the Fourth of July. 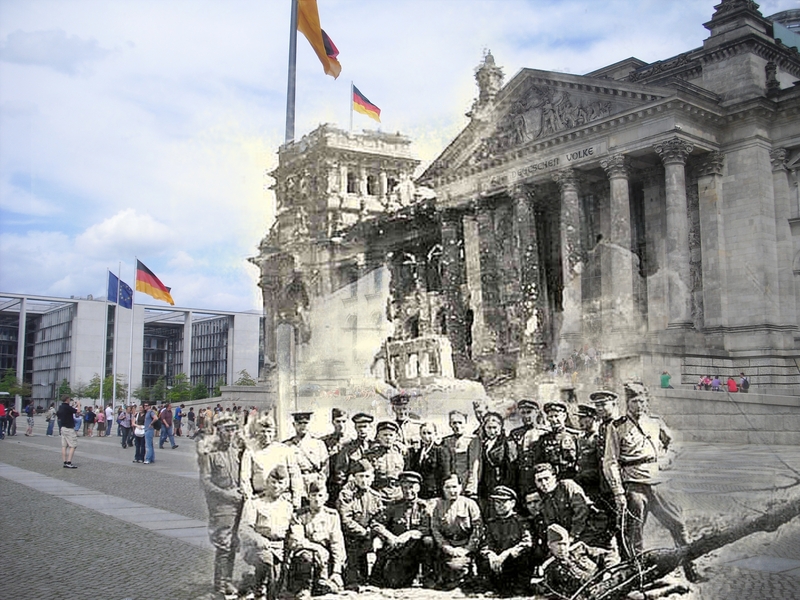 The event was recreated for the photographers and you can see a newsreel of members of the 150th Rifle Division (Alexai Berest, Mikhail Yegorov and Meliton Kantaria) erecting the Russian Victory Banner over the Reichstag on May 8, 1945. The photo of the event is quite similar in significance to the Joe Rosenthal picture of Marines raising Old Glory on Iwo Jima. 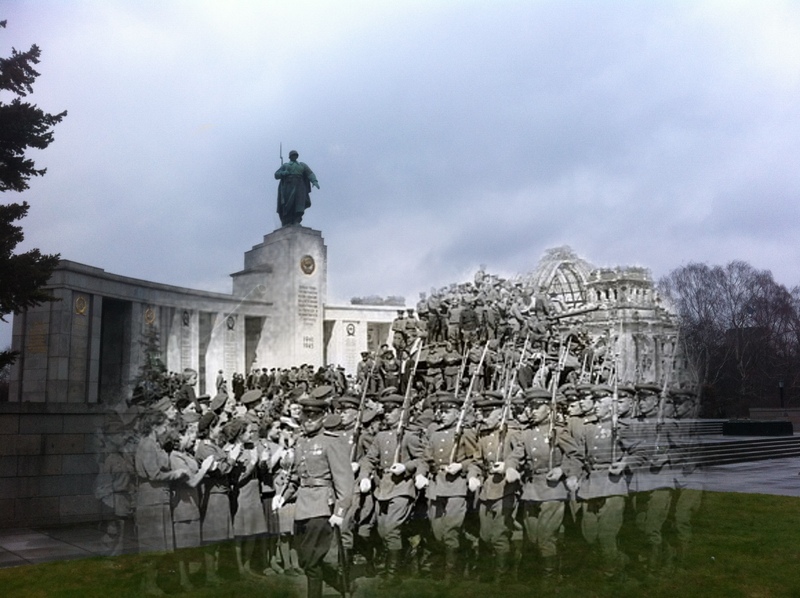 A squad of Red Army soldiers rush the Reichstag carrying a Russian flag. Probably a propaganda shot taken after the fighting had ended. 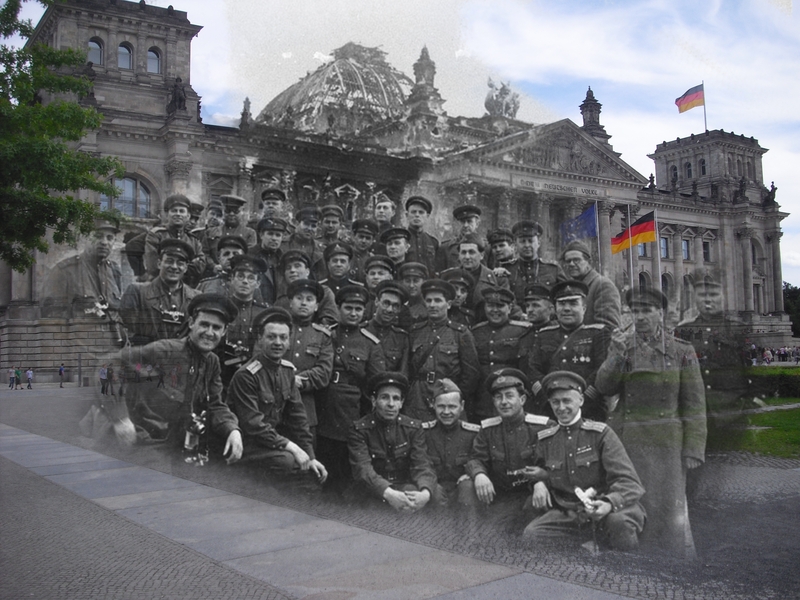 A group of Red Army officers pose for a photo in front of the Reichstag.